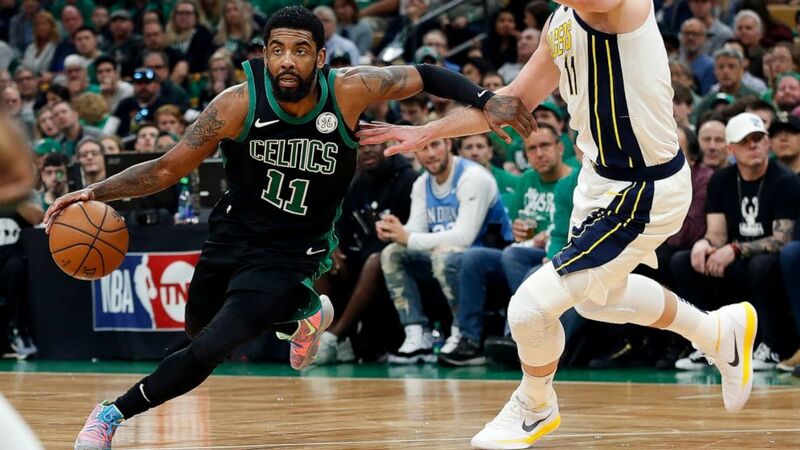 The Celtics are preparing for their Game 2 matchup with the Pacers aware their series-opening win was notable more for its ugliness more than the outcome. Meanwhile, the Rockets and Bucks are heading into their respective Game 2s with the Jazz and Pistons expecting more competitive games after dominating victories. Boston limited Indiana to eight points in the third quarter of its 84-74 Game 1 win. It was the Celtics’ lowest point total of the season and the first time they won a game in 2018-19 in which they didn’t reach 100 points. Change is on the minds of both teams. For the Celtics that could mean tweaks to the starting lineup as they continue to adjust to the absence of Marcus Smart, who is recovering from a torn left oblique. “It’s frustrating, but you have to take it day-by-day and one day at a time,” Smart said Tuesday. Celtics coach Brad Stevens acknowledged Smart’s absence forced them to play differently and will continue to require adjustments. Without Smart to help with ball handling duties, it mostly falls on Kyrie Irving. Will that mean changes to the starting lineup? “We re-evaluate everything every day,” Stevens said. Pacers forward Thaddeus Young said the film just highlighted shortcomings they knew about. “Free throws. And just upping our intensity on the defensive end. They upped their defensive pressure. I think we backed up a little bit,” Young said. Scoring wasn’t a problem for James Harden in Houston’s 122-90 win. The star had a game-high 29. Utah star Donovan Mitchell had 19, but was just 7 of 18 from the field. NEED TO KNOW: The 74 points scored by the Pacers in Game 1 marked the lowest total by a Celtics playoff opponent since Orlando scored 71 points on May 22, 2010. Indiana also shot a brutal 57% (12 for 21) from the free throw line. Those are two things the Pacers aren’t expecting to do two games in a row. KEEP AN EYE ON: Boston’s rotations. Jaylen Brown started in place of Smart in Game 1, but Stevens has lots of options to give the Pacers different looks. INJURY WATCH: Smart said he is remaining optimistic he can make an early return to action like he did last postseason following thumb surgery. But he said Tuesday was the first day he was able to walk without pain and that his focus for now is treatment. PRESSURE IS ON: The Pacers’ starting lineup. Bojan Bogdanovic was the lone Indiana starter to reach double figures in Game 1. Part of that was Boston’s pressure, but a lot of it was the Pacers missing open shots. If that trend continues, they’ll be headed home down 2-0. NEED TO KNOW: Detroit’s 35-point loss in Game 1 was more lopsided then the Pistons’ entire four-game series the last time they were in the playoffs. In 2016, they lost four straight games to Cleveland by a combined 34 points. KEEP AN EYE ON: Milwaukee had a 22-11 advantage in fast-break points in Game 1 and outrebounded the Pistons 54-46. If Detroit is going to keep this game closer, turning those two categories around may be the best path. INJURY WATCH: Detroit star Blake Griffin has been having knee problems and missed Game 1. The Pistons have described him as day to day, and coach Dwane Casey said Tuesday there was no change in his outlook. PRESSURE IS ON: Andre Drummond is Detroit’s other star frontcourt player, and with Griffin out, he wasn’t able to hold off the Bucks’ onslaught in the series opener. He had 12 points before being ejected in the third quarter for a flagrant foul on Milwaukee star Giannis Antetokounmpo. NEED TO KNOW: After their 32-point win in Game 1, the Rockets talked about the need to maintain focus, after they won the opener of their second-round series against the Jazz last season only to lose Game 2 at home. The Rockets went on to win that series in five games but don’t like the fact that they lost that game in Houston and are determined not to let it happen again. KEEP AN EYE ON: Harden. The Jazz used a defense focused on making the left-handed superstar go to his right in Game 1. The tactic kept him from using his step-back 3-pointer as effectively as he normally does. If they use the same tactic in Game 2 look for Harden to continue driving to the paint and dishing off to teammates such as Eric Gordon and P.J. Tucker for corner 3s. INJURY WATCH: Jazz forward Thabo Sefolosha is questionable with soreness in his left hip and Kyle Korver is probable because of a sore right knee. The Rockets don’t have injuries but hope center Clint Capela will feel better after struggling during Game 1 while recovering from an upper respiratory infection. PRESSURE IS ON: Mitchell. He will need to play better if the Jazz hope to even this series after he had five turnovers and no assists in the opener. AP Sports Writers Kristie Rieken in Houston and Noah Trister in Detroit contributed to this report. April 18, 2019 Comments Off on The Mueller Report Is 448 Pages Long. You Need to Know These 7 Key Things.